Rogan Josh is basically an aromatic mutton curry dish which has its origins in Persia and is a famous dish of Kasmir region in India. 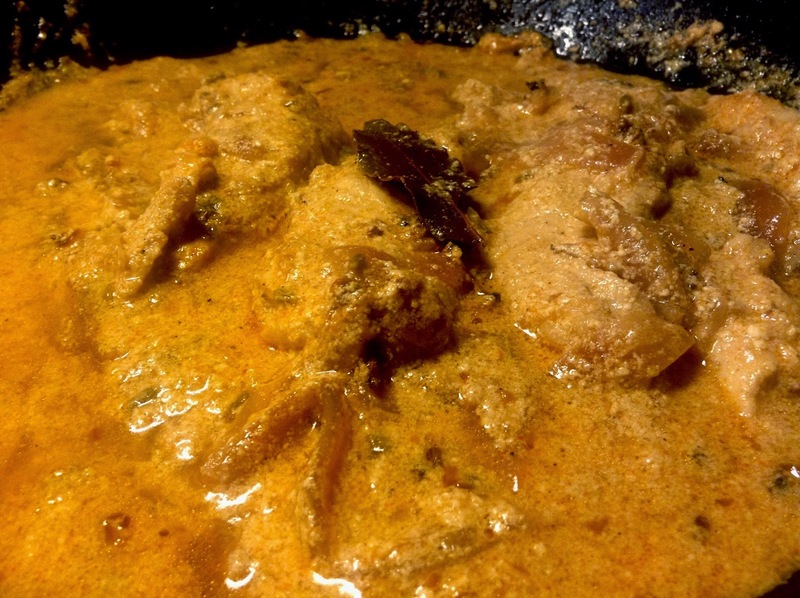 This can however be prepared with chicken and lamb as well, just the cooking time would differ: while it would be similar for lamb and chicken with little variations, it will almost be twice for the mutton curry. Rogan Josh is a dish which is red in colour, basically because of two reasons, first, it is originally cooked with mutton, which releases and imparts the bright red colour to the curry. Secondly, the recipe calls for the kashmiri red chilli powder, but as there is only a single brand of red chilli powder that suits my husband with a sensitive stomach, I replaced the kashmiri chilli powder with that chilli powder, which probably did not impart the colour; tasted heavenly nonetheless.. !! Kashmiri red chilli powder: 1 tsp. Heat oil in a pan and add bay leaves, cloves, cinnamon and cardamom seeds. Add the sliced onions after a minute and fry till they start getting brown. Add the ginger-garlic paste and mix well. Cook for another 2 minutes. Add the asafoetida and mix well. 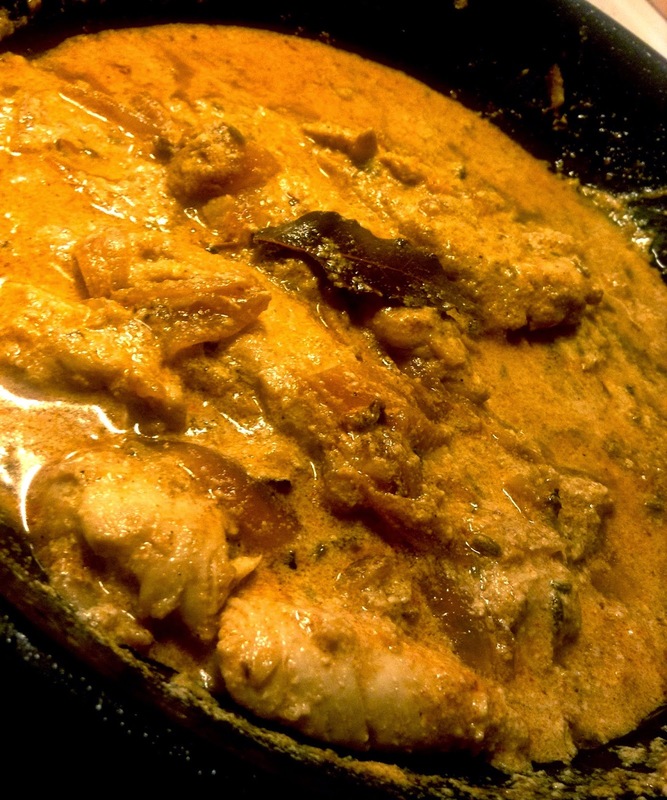 Add the chicken pieces and mix with the masala. Let cook for 5 minutes. Then add salt and 1/2 cup of water and cover. Let cook covered for 10 minutes. Remove cover. Mix the red chilli powder in 2 tsp. water and then add to the pan. Mix. Add the fennel seeds, ginger powder and the yoghurt. Mix well and let cook for another 10 minutes on medium flame. Turn off the heat, add the garam masala (do not mix) and cover. Keep aside for 10 minutes. Remove cover, mix and serve hot.